But first of all, let's have a look to what we have released this week ! As you can see, we returned to our regular pace with 7 new releases. Moreover you have been spoiled this week, with the come back of Anissa Kate and Katrina Moreno! 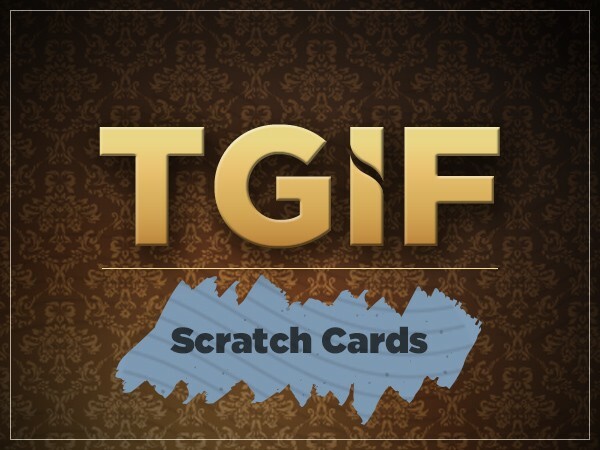 This week, I'm quite proud to introduce you to our new game : a scratch cards game. Discover 3 iStripper symbols and you win ! You need to completely scratch the ticket to move on to the next one. The cards you win are automatically added to your collection. A ticket costs 10 credits. One of the special event cards! 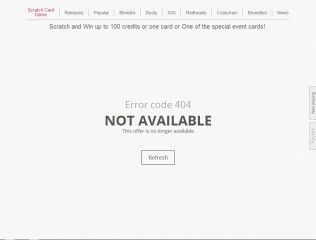 At this day, there are 3 cards issued from special events that you can't buy in the store. So, here is your chance to win One of them! this offer is no longer available ???? Latest version. Plenty of cards from last year to buy. And yet I am not able to participate. Is this a bug, or working as intended? Sorry for the BUG ^^ - It's fixed. Refresh our resynch and everything should be working ! Interesting game: Played 4 times, won 10 credits 2 times (so made up for ticket price) and 1 card one time. A small note: even if you lose, you have to scratch the "your price" field (so what your price would've been), otherwise the game does not move on to the option of buying the next ticket. Much more interesting are the cards today though: A new Lena Reif (finally! yes! ), the return of Anissa Kate, and Katrina Moreno. 3 out of the 3 for me (and 7 out of 7 for the entire week). Thanks Totem and have a good weekend, everyone! Discover 3 iStripper symbols and you win ! You need to completely scratch the ticket to move on to the next one. This is so AWESOME! I got Niemira's special event card! I was a fairly new member when the advent calander was released to get that card and didn't purchase it at the time, but later regretted not doing so.... getting the card now this is really awesome. A very big THANK YOU Totem! So according the try Ive made I won 2 event special cards, 1 time 50 credits, 2 time 10 credits and nothing was added to my account, nor the cards or the credits and nothing even is shown in account history. Is this really working ? For me it's working, perhaps you could try synchronize with servers, that usually solves such issues rather quickly if I encounter them. Firstly, this has been a week of great cards - I ended up buying all of them, so well done on the choices. 1st one, got 10 credits back, so... fair enough. 2nd scratch? I 'won' a card. A *medium* resolution card, which I'm not even going to bother downloading because 720p cards look rubbish these days. Seriously, Totem? You're throwing medium res cards at us as a 'prize'? For 10 credits? I could buy it for less credits with my discount. *If* I wanted a medium res card. Which I don't. And before you say it's because I have so many cards that there's nothing better to hand out... I just checked the store and there are 500+ crystal clear cards I don't own, and 300+ standard ones. Woohoo! I also got the Niemira card. And one from the waay back days. i just bought 6 scratch cards, 3 of them was 100 credits but somehow it didn't counted? Congrats! I also won the Niemira's card, it was the only exclusive I missed until now. Surprisingly I also won two Alizee's cards(!) I thought they were unobtainable since forever. Very nice surprise. I was quite lucky in the end... I won 1 x 100 credits, 1 x 50 credits and several times 10 credits. I'm very happy with this, Thanks Totem! Surprisingly I also won two Alizee's cards(!) I thought they were unobtainable since forever. Very nice surprise. And now I can't see these Alizee's cards in my collection... :( I already watched one of them so they did download ok (I won three of them eventually), but how can they disappear from my collection when I didn't even synchronise with servers in between? EDIT: I'm beginning to think it was a bug and these Alizee's cards were put among winnable cards by mistake. At least I can see that 30 credits appeared in my account shortly after three Alizee's cards were removed from my collection. I would have much rather kept the cards... Would like to be confirmed though, @Kaiju or anyone? What was all this? How many tickets I should buy, I bought one for 10 credits but nothing happened? @hushhushbb What did you expect to happen? 10 credits is good for one scratch ticket. 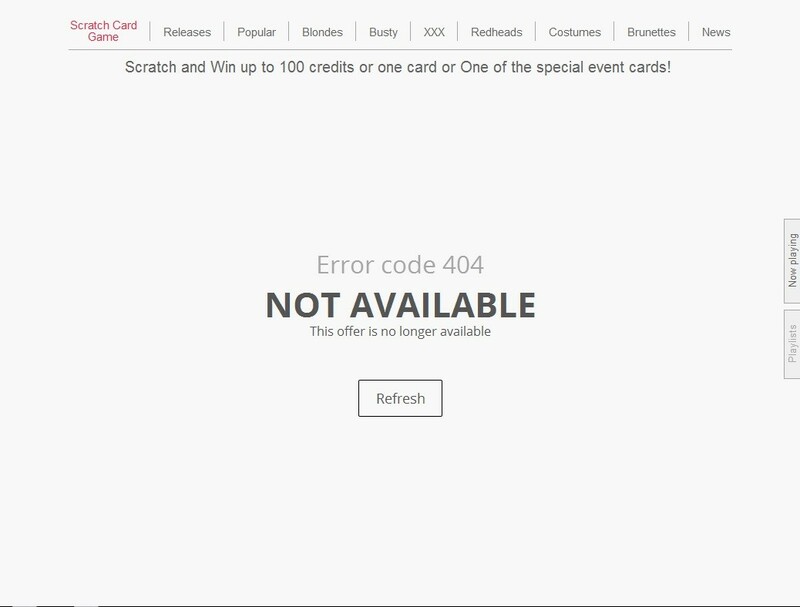 When you see this on your screen after your purchase (see image above), you need to scratch the stars with your mouse and then scratch your win under "Your Prize" if you got three iStripper logos under those six stars. Actually, you need to scratch that "Your Prize" anyway if you want to purchase another scratch ticket. Pero podrás acceder a las categorías y conceptos básicos y ponerte en contacto con nuestra comunidad. !